Infinitode is a short way of saying infinite tower defense game and you will start with three towers: Basic, Sniper and Cannon. With the more coins you get in the game. You can unlock more towers with different attributes. Here is all tower lists in the game below. 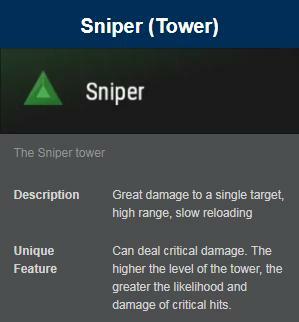 The Sniper tower is one of the few towers the player has access to at the start of the game. It fires a single, powerful shot at a single target, but suffers from long reloading times. 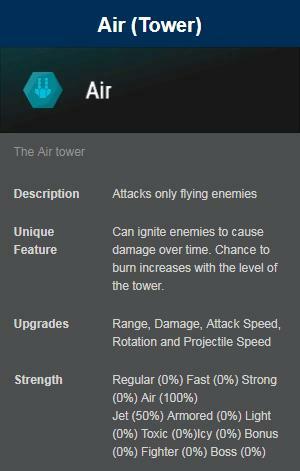 The Air tower is the only tower in the game that can only attack flying enemies. It also a chance to ignite enemies, dealing damage equal to the enemies max health per second. 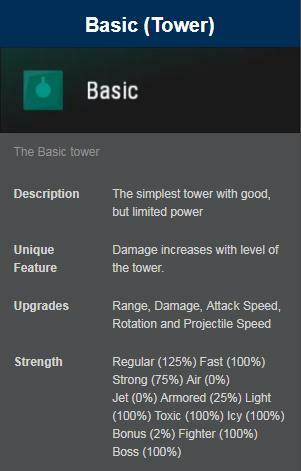 The Basic tower is one of the first towers the player has unlocked in the game. It has a relatively low price for buying and upgrading. It’s only specialty is it’s increased damage against Regular enemies. 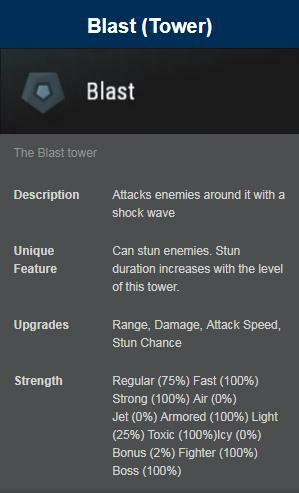 The Blast tower is a tower with the unique feature of stunning an enemy. 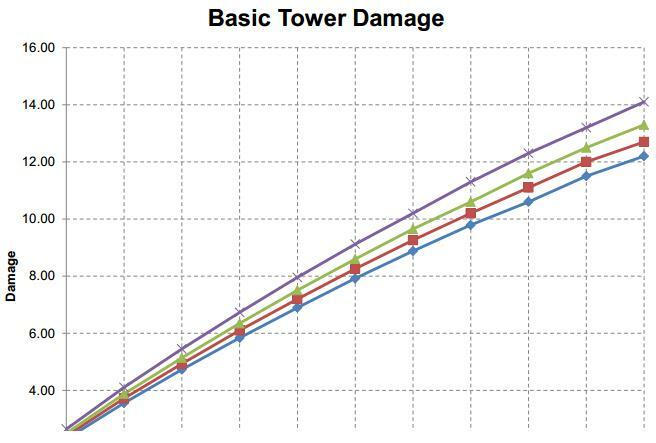 It’s stun duration increases as the tower level goes up. 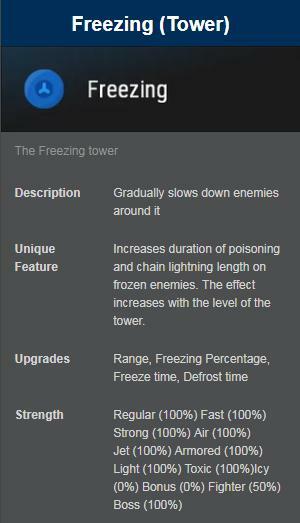 The Freezing (also called Freeze) towers slow down the enemies in their range. They can be bought at the Global Upgrades screen for 250 Green Papers. 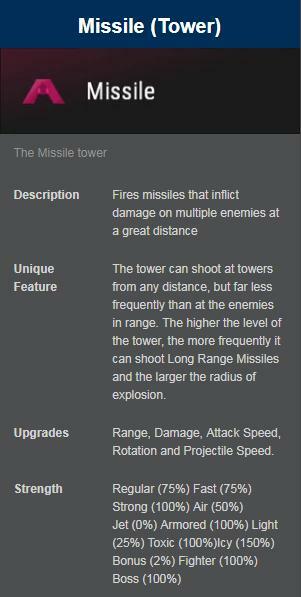 The Cannon tower is an explosion tower, and probably one of the first the player will buy from Global Upgrades for 100 Green Papers. It shoots exploding shells that damage multiple enemies. 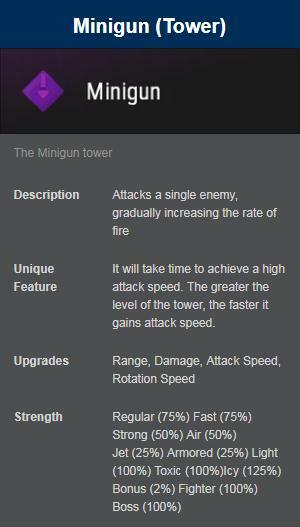 The Minigun is a tower that, while having a slow attack speed at first, gets faster and faster over the period of time it attacks. The higher the level, the lower the time frame of maximum attack speed. 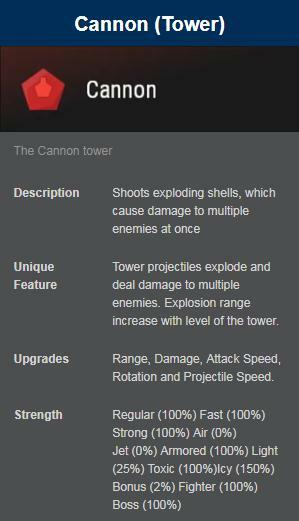 The Missile tower is the long ranged cousin of the Cannon tower. It’s improved range and damage, along with it’s Unique feature, makes it more favorable in late-game builds than Cannons. 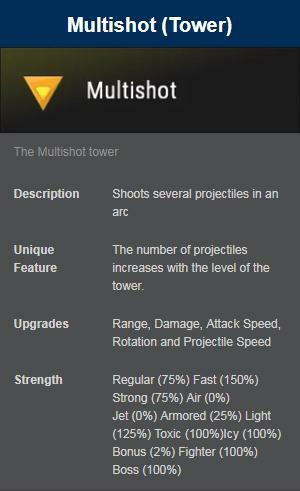 The Multishot is a multi-projectile firing tower. Similar to the Splash tower, it gains more projectiles as it levels up. 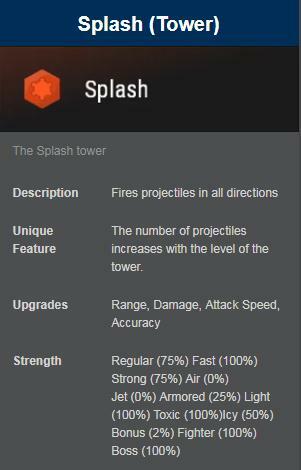 The Splash tower fires bullets in multiple direction around itself. The more projectiles it fires, the different angles they is fired from. 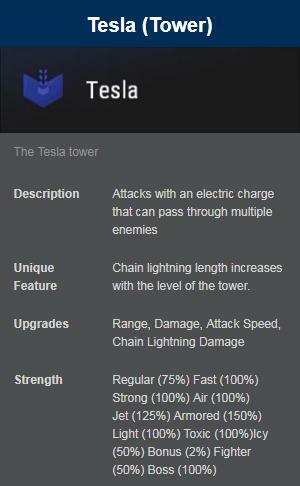 Tesla towers are electrically charged towers that fire lightning bolts that hit multiple enemies. It’s lightning length/chain can hit more enemies the higher its level, though the chain does reduced damage. 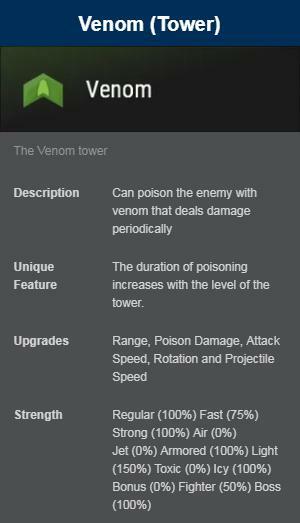 The Venom tower is a tower that can be bought in the Global Upgrades screen for 750 Green Papers. It fires venomous projectiles that poison enemies, dealing damage over time. There are totally 12 different of towers in the game, you can learn the wiki from here, if you want to learn how to play pro, you can goto the tips and tricks for the game. Tier X: towers that I haven’t used enough so I won’t say anything on them.